With music, songs and speeches from the Leeds Nigerian community and others, this event will take place at David Oluwale’s grave in the cemetery. 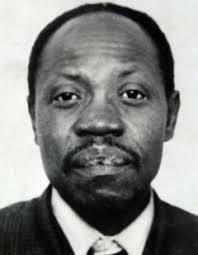 David Oluwale was a British-Nigerian who migrated to England in 1949. Most of his difficult adult life was spent in Leeds. #DavidOluwale’s story reminds us of the intersection of racism, mental-ill health, homelessness, destitution and police malpractice. This event at his graveside is just one of a series of commemorative events – other include film showings, a walk and a poetry reading with Jackie Kay.